Mexican Flautas or Taquitos, what’s the difference? The basic idea is the same, they’re tacos filled with various ingredients of your choice, rolled like a cigar and then fried. The difference seems to be in name only, from what I can tell. It would appear that Taquitos is the name used is the United States whereas Flautas is what they are called in Colombia and Mexico, to say the least. If you have more information pertaining to the origin of Taquitos, please leave us a comment! 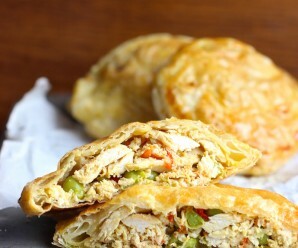 These Flautas de Pollo are crispy on the outside and creamy on the inside. I love making and eating them, and kids love them too! Heat the butter in a saucepan add the onion and cook for about 5 minutes. Add the tomato puree, garlic powder, cumin, chili powder, tomato paste, cilantro and oregano. Stir and cook for two minutes more. 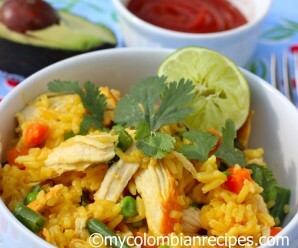 Add the shredded chicken. Season with salt and pepper, cook for about 3 to 5 minutes. Heat the tortillas on a nonstick skillet or oven, then wrap them in aluminum foil to keep them warm. To assemble: spread one tortilla with cream cheese, then top with about 2 tablespoons of the chicken mixture, roll and secure with a toothpick. Process with the remaining tortillas. Heat the vegetable oil in a large skillet and when oil is hot, place about three to four flautas into the oil, and cook for about 1 minute on each side. Drain the flautas on paper towels. Remove the toothpicks and serve warm with avocado slices, queso fresco and salsa. I love these – looks like the perfect textures and flavors…”cigars” I would gladly take! Yum! 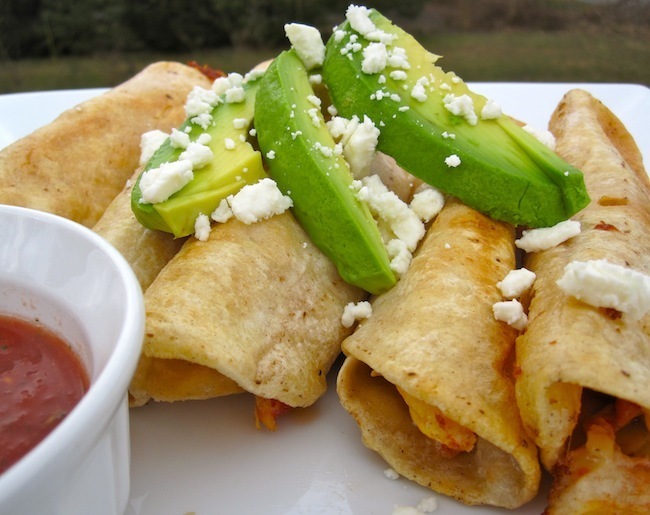 Reading about these chicken taquitos is making me hungry! Love the combination of flavours! 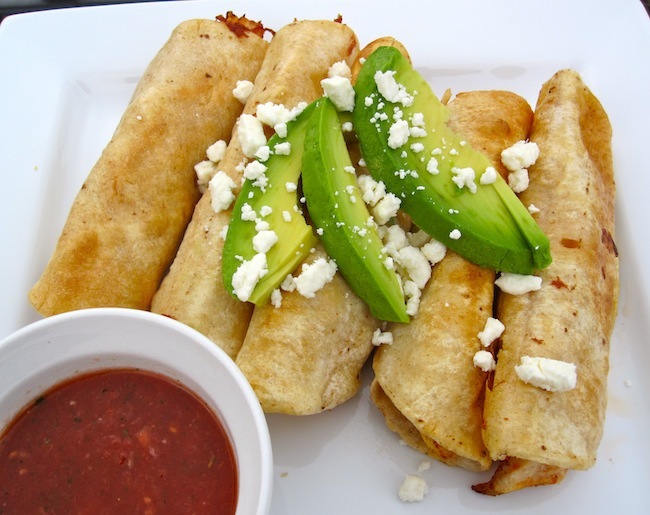 Erica, I like the cream cheese in this flautas…great textures of crispy and creamy. Sometimes I notice that a flauta is kinda of small and thin and a taquito is bigger and thicker? Wonder if the size is the difference? Either way I love eating them! Looks delicious. 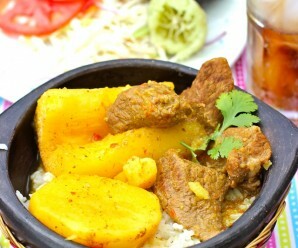 Oh how this warms me – pure comfort, beautifully spiced and you don’t have to be a kid to love them! I was going to say the same thing as Kim – I noticed flautas are a lot skinnier in my favorite Mexican restaurant. These look incredibly good – love your filling! Erica, I made some mini flautas last year and we loved them. Ate them for game day snacks. I like your filling a lot more than mine. Fun to have cream cheese in them. yum! the crumbled cheese is the perfect final touch! To add even more confusion, my family thinks of taquitos as being a small tacos made from soft corn tortillas with a filling of carne asada or barbacoa topped with pico de gallo/cabbage/crema. Essentially a street taco. Call them whatever you like, just give me some! They look delicious, Erica. Pinned it. Thank you everyone for all your comments and feedback! Wonderful! My kids loved them and so did the hubby! Spices were perfect not overly assertive, right on par! hey! do you have in information & where it originates from & etcc. doing a project on them, thanks! 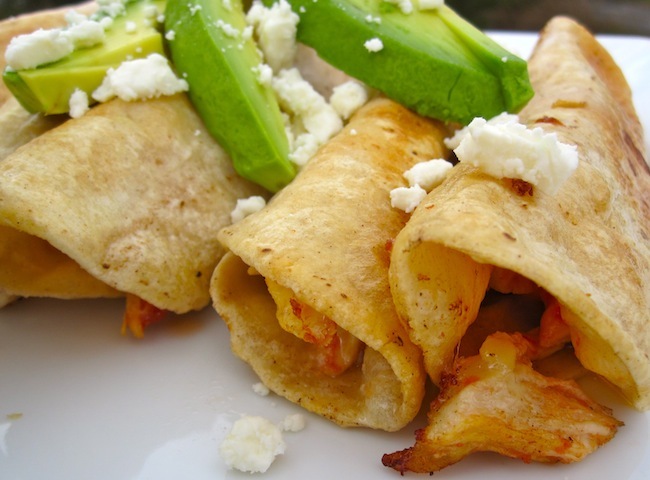 Flautas are made with wheat flour tortillas. Taquitos are a rolled up version of tacos dorados (my absolute favorite taco) which are made with corn tortillas. Flautas also are frequently made with burrito-sized tortillas so they tend to be bigger than the taco dorados/taquitos. 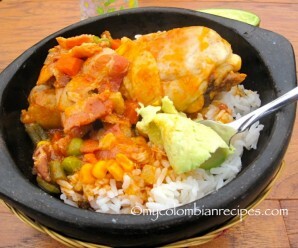 I’m going to try this recipe for dinner tomorrow. I have most of a left over deli chicken in my fridge and I’m wanting something crispy and delicious. Ummmmmm…….. in the first direction, you mistakenly said “eat” instead of heat. I think you guys should fix that.